Lieutenant William Lennington Brown was born on on October 5, 1935 in Ypsilanti, Michigan to Mr. Robert S. and Mrs. Patricia Lennington Brown. William graduated from Roosevelt High School in Ypsilanti, Michigan. In June, 1955, he received a Congressional Appointment to the United States Naval Academy in Annapolis, Maryland. 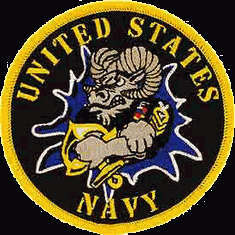 He graduated from the Naval Academy on Juene 3, 1959. According to Captain John A. Standish, USN (Ret), "I met Bill Brown when I reported aboard my first ship, the Destroyer, USS Braine (DD-630)...in San Diego. I was assigned as Gunnery Officer, Bill was the Weapons Department Head. Bill was a very conscientious, fun loving young officer, and quickly pulled me under his wing. He was a great mentor and coach, and much of my love for the Navy and its traditions were as a result of Bill's attitude and instruction...Bill also became a good friend...Bill was very religious and tempted me with pizza if I would go to evening services with him, which I did on occasion. At some point, Bill picked up the nickname, 'Squirrel's." 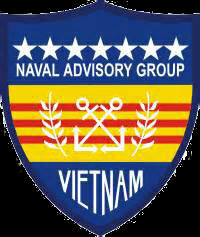 Lieutenant Brown served with the 15th Republic of Vietnam Navy, River Assault Group, Naval Advisory Group, MACV. He was acting as a Naval Advisor to the Marine Corps in Chu Lai, South Vietnam when the island of Ky Hoa was attacked by a large force of Viet Cong. Bill Brown was killed as a result of multiple fragmentation wounds on July 9, 1965 along with four other Americans. Lieutenant William Lennington Brown is survived by his parents, two brothers and a sister. He lived for 29 years, 9 months and 4 days. He is resting at the Brookside Cemetery in Tecumseh, Michigan. According to USNA Classmate Greg Nolan, "He (Bill) is remembered in Memorial Hall at the U.S. Naval Academy with other 1959 Classmates while serving our Country." Bill's name is listed on the Vietnam Memorial in Ypsilanti Township under Ypsilanti. His name also appears on the Vietnam Memorial in Washington, DC on Panel 02E Line 033.